Days after announcing strong results, Western Australia’s Gage Roads has announced that it has been awarded the tender to continue to produce a number of exclusive brands for Pinnacle Drinks for another three years. In a statement to the ASX, Gage Roads said its existing contract ends on 30 June 2019 and the new contract will commence on 1 July 2019 through to the end of FY22. The contract covers a number of exclusive brands that the brewery produces for Pinnacle Drinks, Woolworth’s proprietary drinks arm that creates beer, wine and spirits brands for its Dan Murphy’s and BWS retail outlets. Pinnacle Drink’s beer brands include Sail & Anchor. Gage Roads said that while the new contract does not contain any minimum volume commitments, the volume expectations outlined in the tender are anticipated to be up to 460,000 cases per annum (3.6 million Litres). 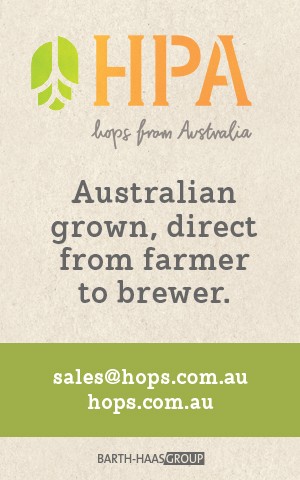 ALH has previously owned a 25 per cent stake in the publicly listed brewer, but Gage Roads bought back the shares in 2016 when it announced its five-year “Returning to Craft” strategy. Gage Road’s announcement said that the contract is “in keeping with the 5-year proprietary brand strategy and the volumes awarded under this tender are directly aligned with the Company’s vision for FY20, FY21 and FY22. Gage Roads Managing Director John Hoedemaker said the tender win was a testament to the quality of products the company continues to produce. “Gage Roads has a long and successful partnership with Pinnacle Drinks and being awarded the tender for these products is a confirmation of the quality of products we produce and the capabilities we demonstrate as an organisation,” he said in the statement. Gage Roads shares are currently trading at $0.097 cents, up from $0.04 when the Return to Craft Strategy was announced.